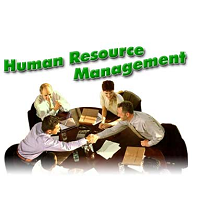 It is a fact that efficient management of Human Resources is as important as recruitment of suitable candidates. To smoothly carry-out all HR Functions, organizations have set up dedicated HR Divisions. We offer to undertake hiring at all levels in the HR Division as per the requirements of the clientâ��s company. We maintain a databank of candidate profiles with relevant qualifications, interests, and experience. We commit to recommend the most suitable candidates for the posts of HR Generalists, HR Managers, HR Team Leaders, HR Executives, etc.